If you want to get the best out of your home improvement projects, power tools are a must. Without power tools, doing it yourself will not be fun. 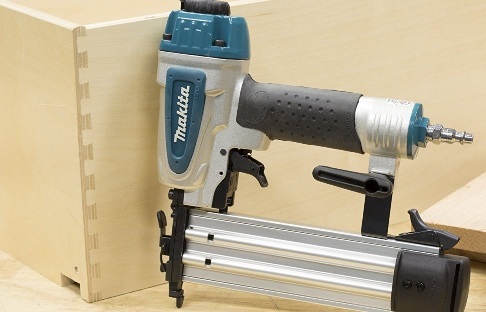 Some of the best power tools you need to have in your toolbox as a DIY are nail guns. Using a hammer is old school. It will cause a lot of stress and headache to hammer all those nails to create that new fence you want around your house, or to create that furniture you crave so much. So, you need a nail gun to do the job efficiently, without any headache or stress, and in less time. Now that you know you need a nail gun for your DIY projects. The question now is, which one then, should you choose? Now, I’m going to be talking about the different type of nailers and their different uses, so that you can be confident of the one you need for your DIY projects. The name itself says it all. It’s used for framing. This is not used for any light duty work. A framing nailer is the nail gun you need when you need to frame a room in your house, or build a fence around your house, a deck, flooring and so much more. It’s simply the nailer you need when you need to hold together heavy duty stuff. When you need to finish your room with wood trim, build furniture, make cabinets and install crown and base moldings, then you need to drop the framing nailer and get a finish nailer. There are both pneumatic and cordless types of finish nailers. If you don’t have a compressor, or you don’t want to buy one, then you need to get a cordless finish nailer because you don’t need a compressor to get it to work. As a simple DIYer, I’m pretty sure you won’t be engaging in any roofing projects around your home. But if I’m wrong, then you need a roofing nailer. This is also another heavy duty nailer, but it uses shorter nails which come in the form of a coil. So, instead of a straight magazine usually found in other nailers, they have coil magazines for holding the nails. If you are really going to engage in some fine woodworking projects such as ulphostery or any trim application where you are worried about the size of the nails, then you need a brad nailer. These nailers shoot tiny nails which will not split your wood and will not create a big hole for you to fill up. With this, I think you now have a good knowledge about the different types of nail guns out there. So, depending on the project you want to undertake, you can now get a nail gun that suits your needs. Nail guns are one of the most delicate and dangerous power tools you can ever have. So make sure you are very careful when using any one. Read the user manual that come with any one you purchase and make sure to follow all the safety rules outlined by the manufacturer. Why Rent Equipment for Your Summer Party? Why Is A Metal Roof Better For Your Building?